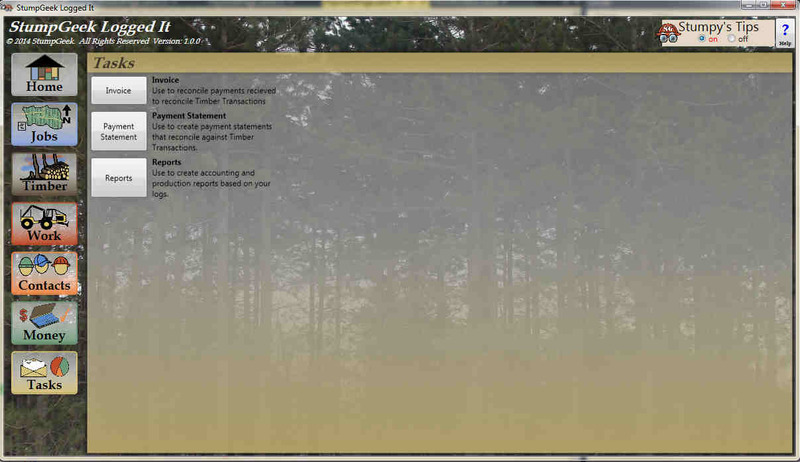 The software application for Windows 7, 8 or 10 computers, to simplify managing the business of working in the timber harvesting industry. Designed by a Logger for Loggers and Log Haulers, to work the way a timber professional thinks. 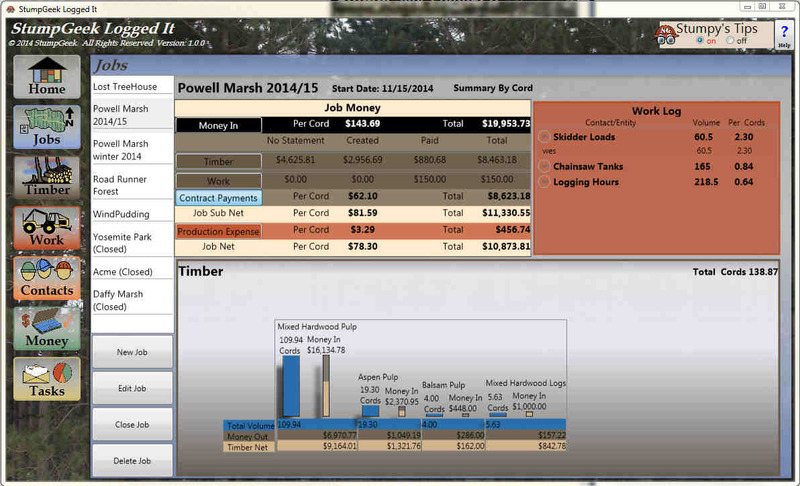 Sawmills and Pulp mills use software to manage forest products from purchase to final yield. 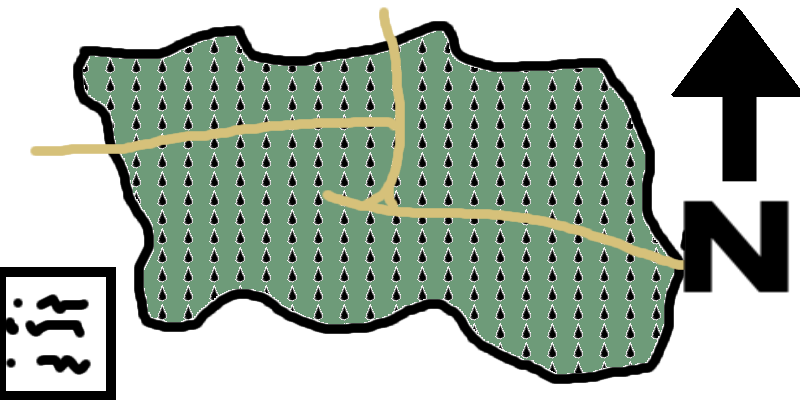 Foresters use software to cruise a stand of timber and manage sustainable harvests. 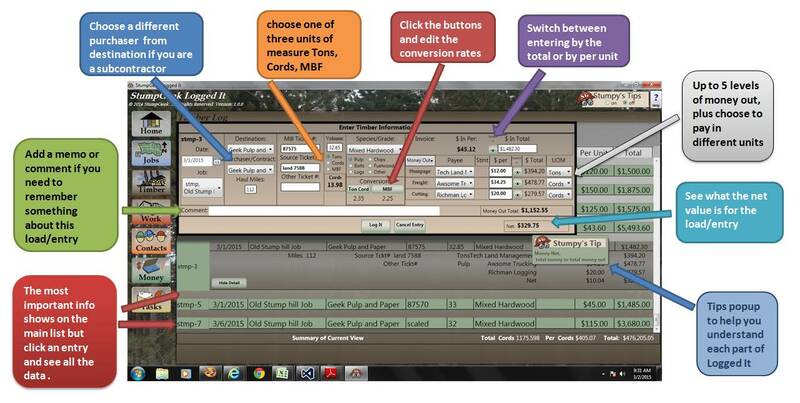 Now loggers have an affordable, easy to use, quality software product to manage their forest products. 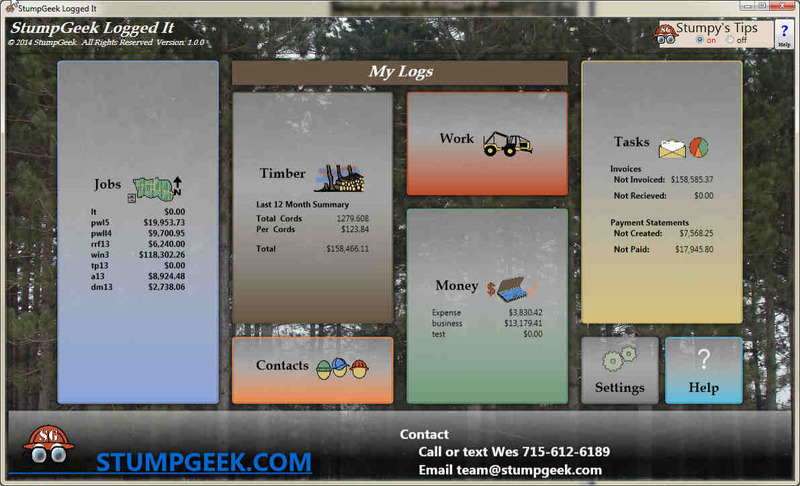 At StumpGeek, we believe that accurately tracking your production is essential to the success of your business. As the Timber industry evolves, so must the individual logging and log hauling companies, in order to have stronger insight into their business and stay ahead of the competition. That is why we developed Logged It, to provide a package that tracks your operations in more detail and provides the tools needed specific to the Timber Industry. Additionally, Logged It can either provide you with basic accounting features, or complement your existing accounting software. New tools, like Logged It, will help your business thrive in an ever evolving industry. Check out the Logged It Help Series Videos to get started learning how to use the Logged It application, and see how it can help bring your business to the next level. 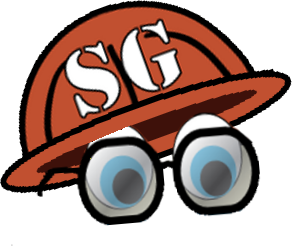 Welcome to the Main Home page for StumpGeek Logged It. 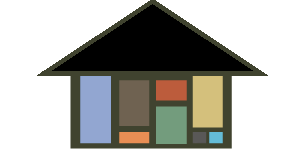 The home page provide two main functions. Easy navigation to all major features of the application, and a summary of the data in those sections. Jobs provides a list of all jobs and the top line revenue (money in) for that job. Timber provides a summary of production for the past 12 months. 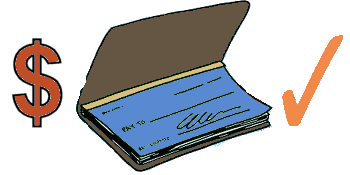 Money provides a list of all accounts and the current balance. Task provides a summary a outstanding invoices and payment statements. There are also some common feature throughout the application. When Stumpy Tips are turned on, hovering over certain items will pop up the Stumpy Tips window and provide inline help. You'll notice that the controls are very similar at the bottom of the logs. New will bring up the edit dialog with a new item to add to the log. Edit will bring up the edit dialog with the item currently selected from the list to edit. Delete will delete the selected item, after we make sure that is what you want to do. Clone will bring up the edit dialog a copy of the selected item so you can add a new item that is similar. Might save you time so you don't need to re-enter everything, only change the data that needs to be changed. You'll also notice common controls on the edit dialogs that popup. Log It is how you save the item, just Log It to save it in the log. Every log also has filter capability, with controls at the top of the page. By default, the filters are Off, so just click the Filter Off button and the filters will be On (Now the button says Filters On). With the Filters on, you can select items from a drop down or type in partial words, and the table will filter to match. Done with Filters, then just hit the Filter On button and they will shut off. The jobs page provides a list of all the jobs you've created, so you can track your production and expenses against a specific job. You can create, edit, delete and close out a job from this page. 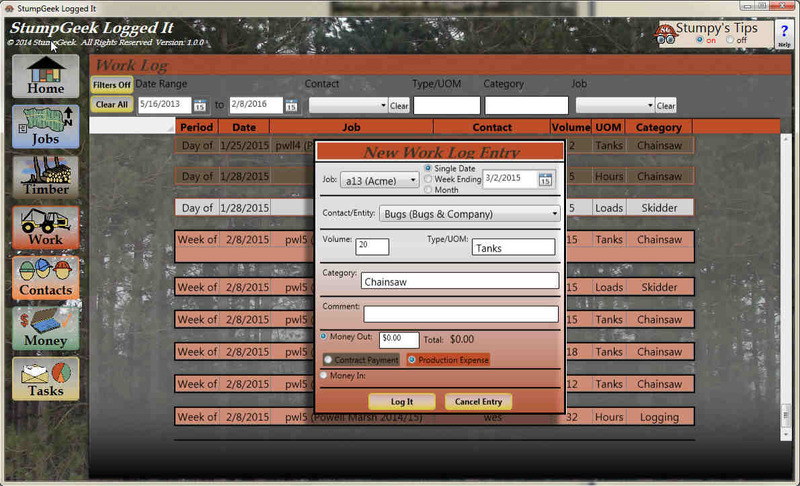 Additionally, when a job is selected, you are able to view a summary of the production and financial data specific to that job, as grouped from the other logs throughout the application. This can be thought of as an interactive job report, allowing you to expand to see more details, or collapse items to see summarized totals. 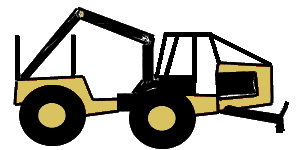 The Timber Log is primarily the main work horse of the application. This is where you enter loads hauled and the associated data that goes along with it. One of the convenient features of Logged It is the build-in calculators, so as you enter data, totals are calculated and conversions made. Conversions from Tons or Cords or MBF are built in, so you can enter volume on how the load is scaled, and enter load costs with a different unit of measure; then Logged It does the conversion in real time for you. Additionally, conversion rates are built in for selected species, or you can manually change based on your needs. Timber loads are reconciled in Tasks, using Invoices to reconcile the Money In and Payment Statements to reconcile the Money Out (e.g. for Stumpage, Freight, etc...). Then in the Jobs, see a summary of how these items relate the overall per volume for the job. Another feature of the work log is that you can associate Money In or Out to an item, then Invoice the contact or pay them using the Invoices or Payment Statements on the Tasks Page. 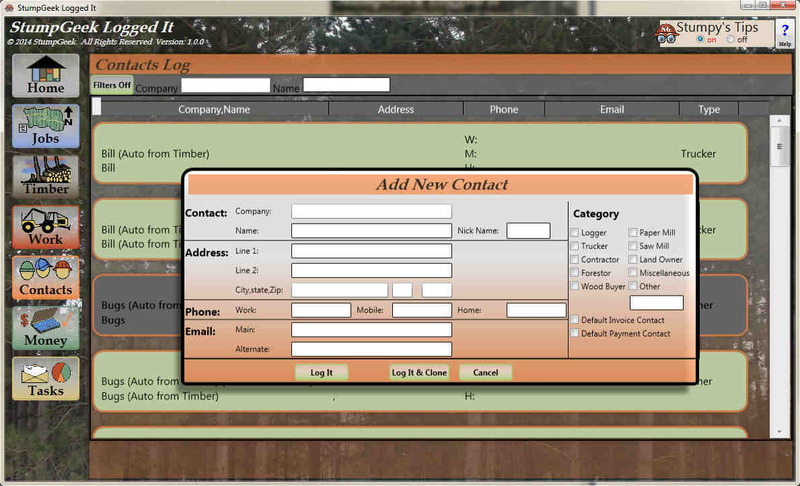 Enter contacts for mills you sell your product to, for land owners you do a lot of work for, for other loggers or contractors that you work with, for employees. 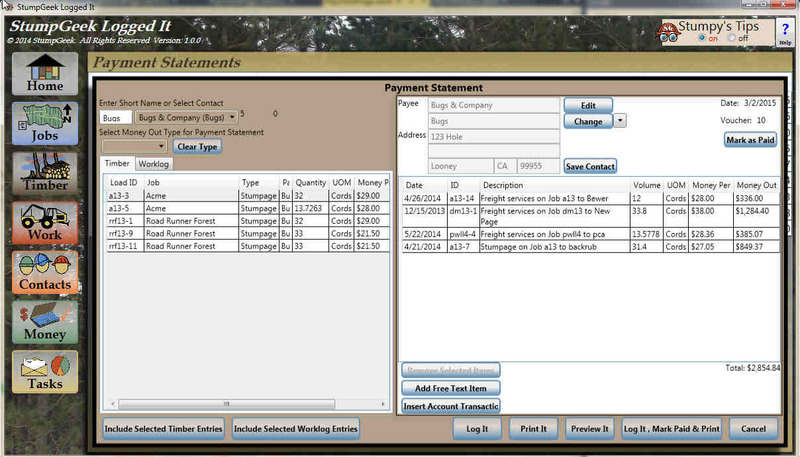 These contacts then link directly to Timber, Work, Jobs, Invoices and Payment Statements. Don't have another accounting tracking software application? 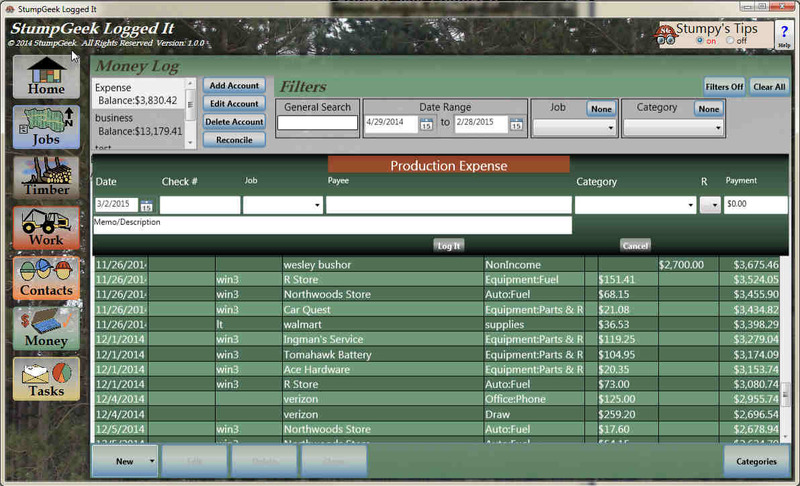 Want to include other production expenses in your job summary? The Money Log provides a basic money account ledger, and includes the ability to reconcile an account, customize categories that are assigned to transactions, include a link to a job and separate expenses by Contract, Production or Business. The creation of a Payment Statement is shown below. The Invoice is nearly identical, so going between the two will be very simple. Select a contact to see the items in Timber and Work that haven't been handled yet, then double click or multi-select and use the buttons at the bottom to add them to the statement. 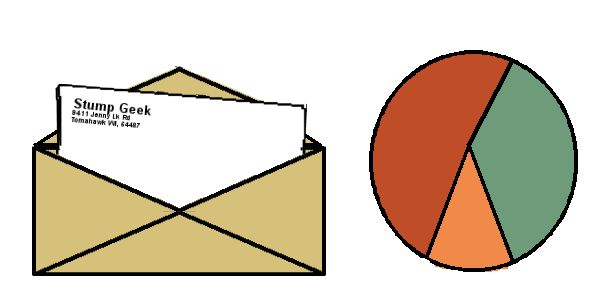 If you need to tweak the contact information, you can do that. You can add manual items that aren't part of Timber or Work. Then you can Log It, Print It, Preview It, or in one step Log It, Mark it as Paid and Print It. The format can be somewhat customized in the Settings from the Main Home Page. Now that you saved it, the items in Timber or Work are also updated to know that they been reconciled by the statement. Copyright © StumpGeek LLC. All rights resevered.